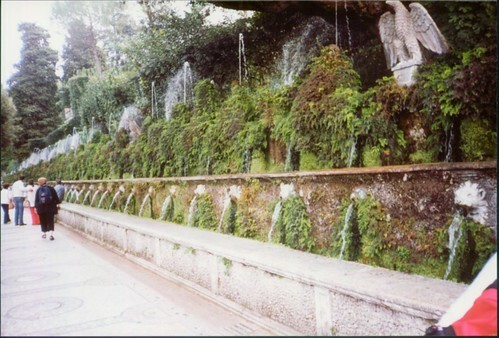 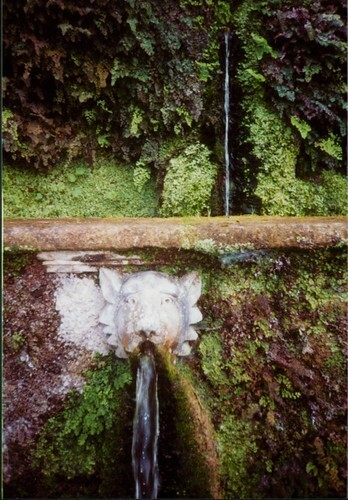 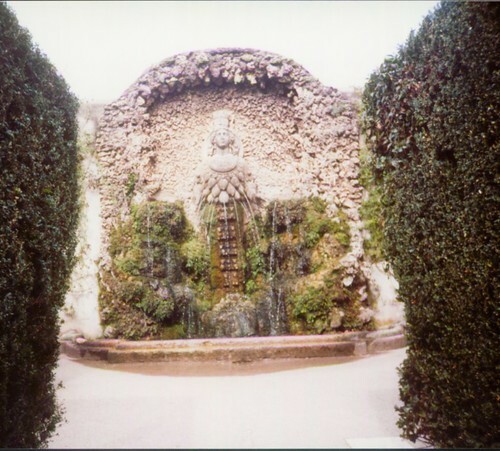 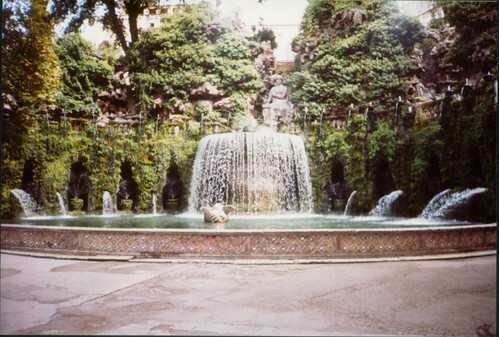 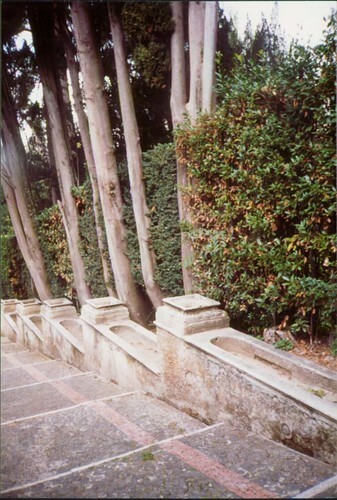 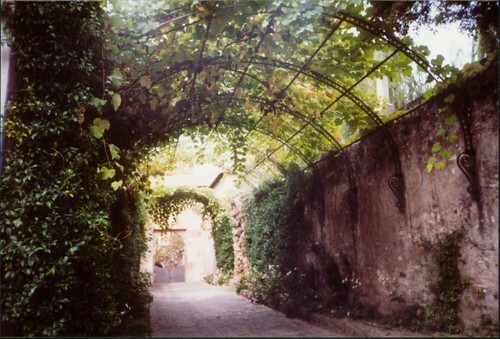 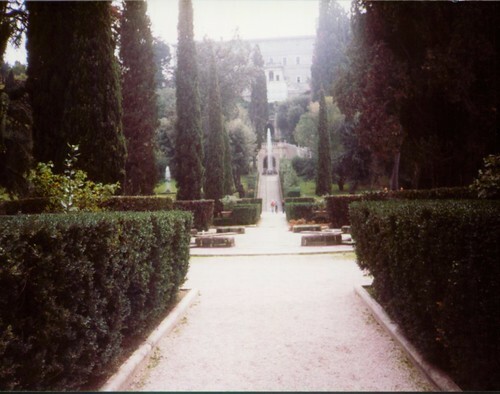 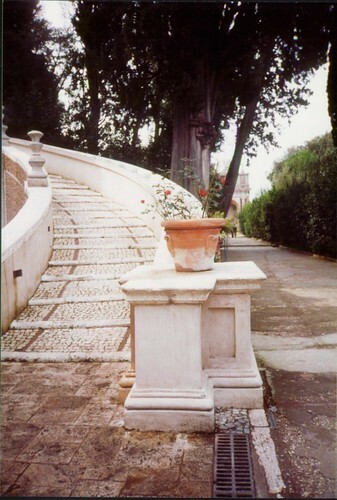 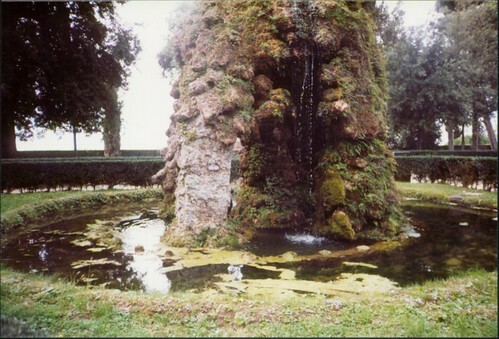 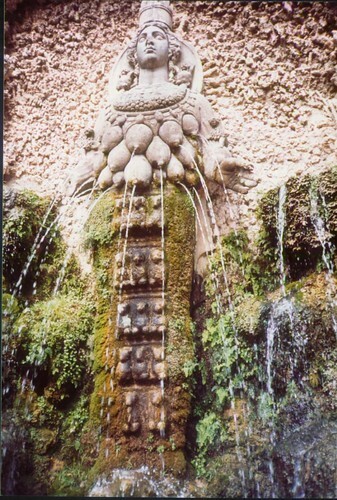 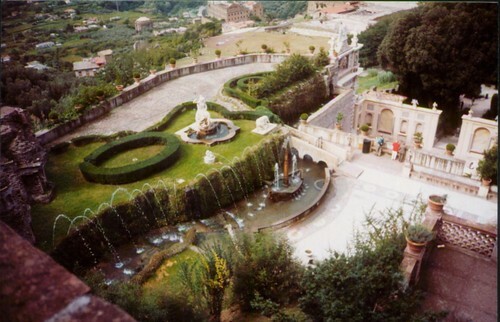 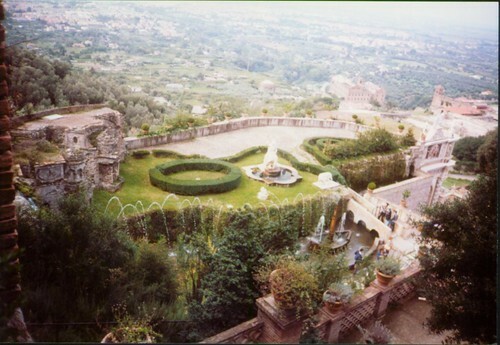 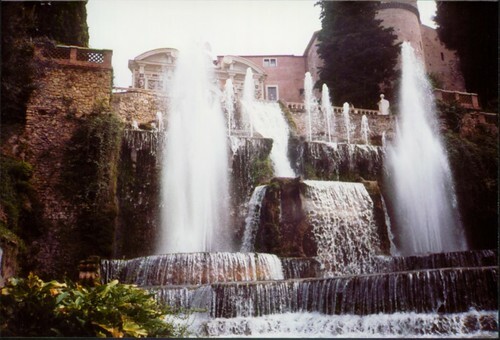 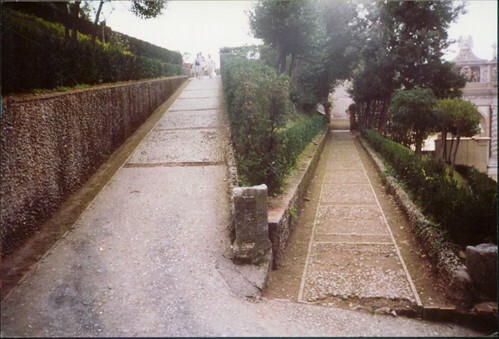 I took these photos of Villa d’Este in 2002, when I was in Italy for the Landscapes of Water conference in Barri. 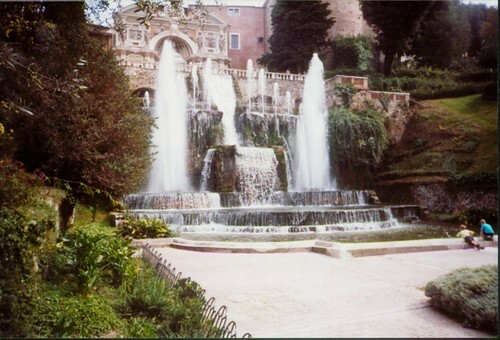 Villa d’Este, a UNESCO World Heritage site, is a great hillside water estate, built between 1550-1572 in Tivoli, near Rome. 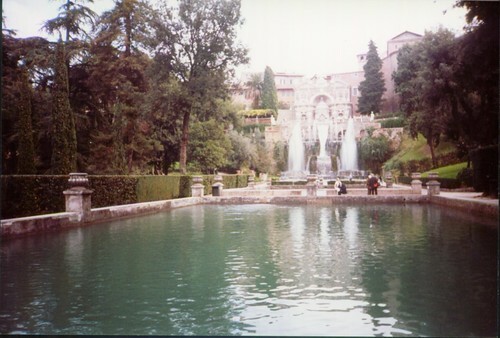 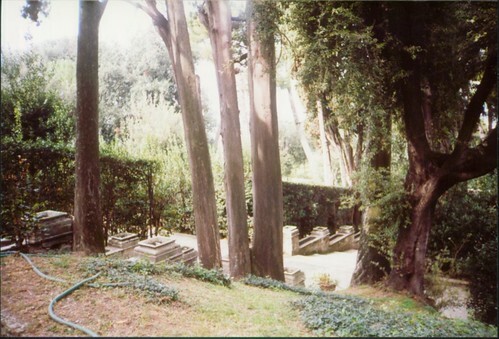 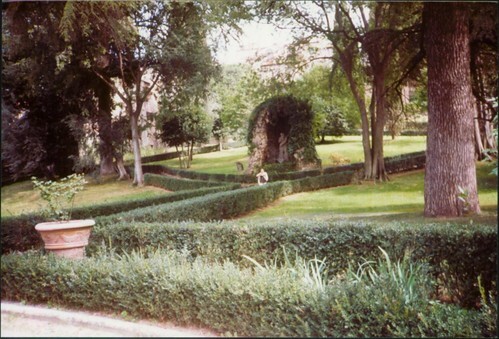 The estate was commissioned by Cardinal d’Este. 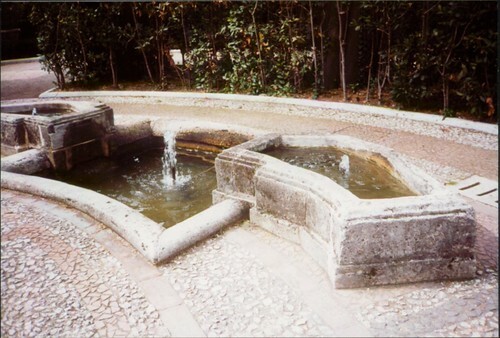 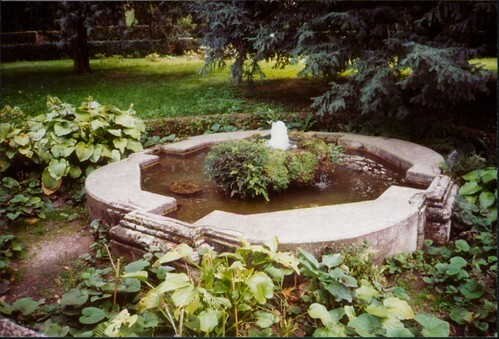 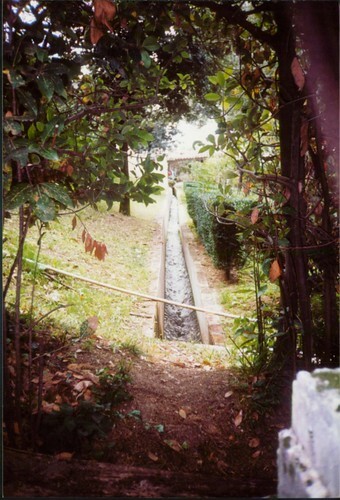 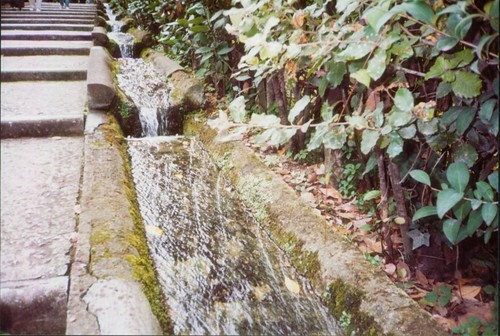 Pirro Ligorio and Alberto Galvari designed the water features, Thomaso Chiruchi provided engineering and Claude Venard manufactured key equipment. 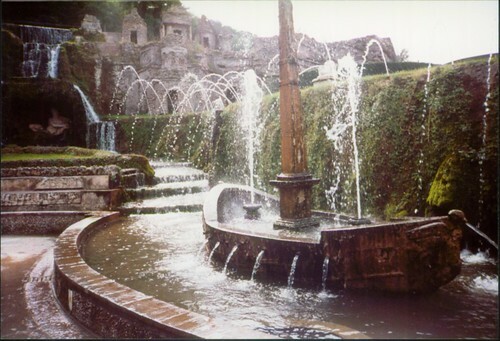 The landscape and water features were partially inspired by the ruins of Emperor Hadrian’s villa Adriana which I also visited . 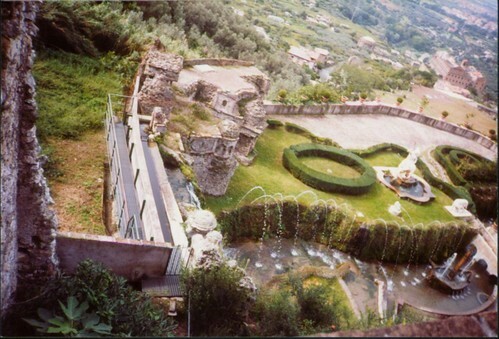 They claim that there are over 500 jet or water expressions within the garden, but I would guess there are about 10 main water features.Â All the fountains are gravity fed from a source at the top of the hill. 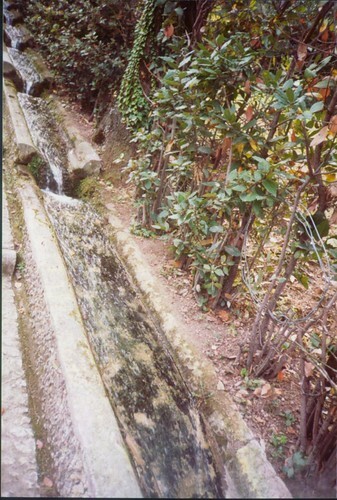 The water continues out of the garden to serve as a source of water for the village below. 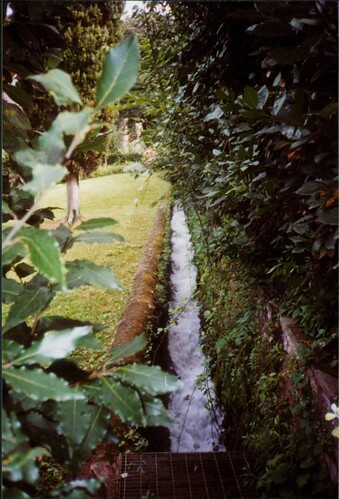 Click on the pictures below to see them larger on Flickr and to read the comments.